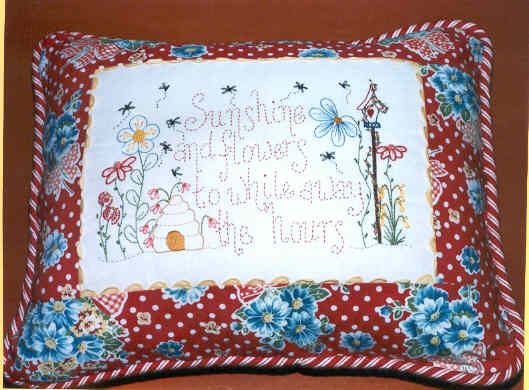 A pattern and instructions for a small cushion decorated with a delightful floral stitchery . A full stitch glossary with diagrams and instructions is included. 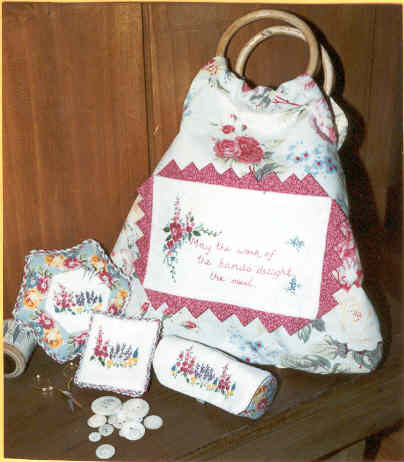 A pattern and instructions for a small bag, pin cushion,needlebook & huswife all decorated with a delightful floral stitchery . A full stitch glossary with diagrams and instructions is included. 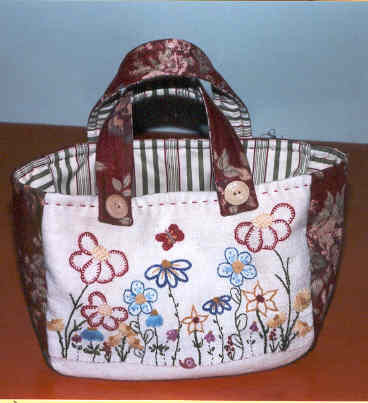 A pattern and instructions for a bag approx 10x10 inches a delightful butterfly and floral stitchery . A full stitch glossary with diagrams and instructions is included. A pattern and instructions for a doorstop decorated with a floral stitchery and a beehive.. A full stitch glossary with diagrams and instructions is included. 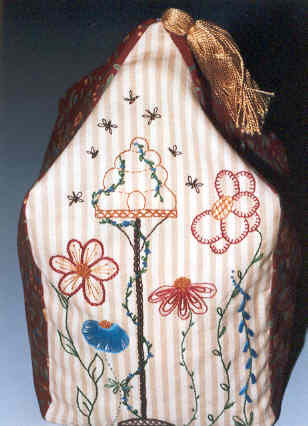 A pattern and instructions for a pin cushion,scissor holder and Needlecase decorated with a delightful floral stitchery with birdhouse and beehive.. A full stitch glossary with diagrams and instructions is included. A pattern and instructions for a pin cushion,scissor holder and Needlecase decorated with a delightful floral stitchery with a beehive.. A full stitch glossary with diagrams and instructions is included.